↑ Dawidowicz 1975, p. xxxvii. Further examples of this usage can be found in: Bauer 2002, Cesarani 2004, Dawidowicz 1981, Evans 2002, Gilbert 1986, Hilberg 1996, Longerich 2012, Phayer 2000, Zuccotti 1999. ↑ Eric Lichtblau (1 March 2013). 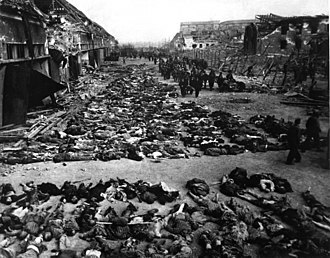 "The Holocaust Just Got More Shocking". The New York Times. Retrieved 2 March 2013. ↑ Friedlander 1995, pp. xii–xiii; Niewyk 2012, p. 191. ↑ Wytwycky, Bohdan (1980). 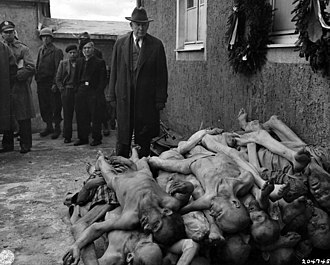 The Other Holocaust: Many Circles of Hell. The Novak Report. ↑ Snyder 2010, p. 384.